Spanner in the Workz: Meh! 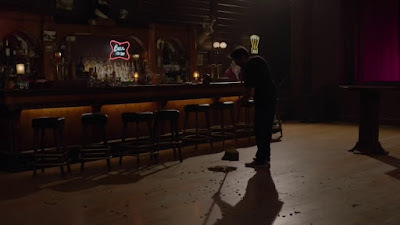 A man sweeps the floor. Slowly and carefully he gathers loose bits of debris and confetti from the bar’s previous festivities into a neat pile. We are witness to this scene for around three maybe four minutes. Unusual and slightly voyeuristic enough to watch this anyway, perhaps even more so when I reveal that this scene takes place during the minutes of a prime-time television show. The character and action are (depending on how much or not you want to read into it) irrelevant to the story that is being told. This is one scene in the new series of David Lynch’s ‘Twin Peaks: The Return’ and is in part the influence in writing this post. I have always wanted to write about nothing (some may think I already do), but even as I type the word ‘nothing’ in the header for saving this file on my computer I am already committed in deciding to write about something. Nothing, is something I have been interested in for a long time. Please stay with me on this… One of my earliest experiences of school in which I can remember being frustrated was in a maths lesson, presented with the sum of [0 + 4=]. I was four or five at the time and had never seen a 0 before so didn’t know that it stood for nothing. Once told it was nothing, I found it confusing to comprehend that we would invent a symbol for nothing, when in fact it wasn’t really nothing, it was a round circle. Why have a symbol for something that represented nothing? Such began an existential debate in my brain, that nothing is always in fact something. What that something that defines nothing is exactly remains the subject of philosophical mystery, some degree of absurdity and fascination. I think I have always associated nothing with the mundane, the everyday and periods of inactivity, stillness or a sense of emptiness. This seems logical and given my art practice of choosing to draw tools and other fairly everyday objects over the years. 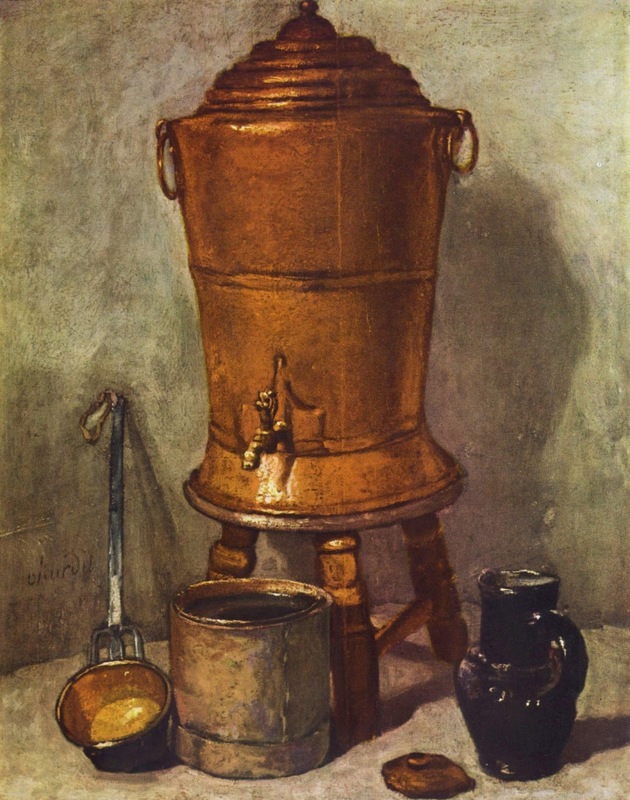 It soon becomes apparent that these things, whilst often unnoticed, in a ‘oh that’s nothing’ sense of the word, are in fact heavily laden with meaning, significance and a physical presence that makes them anything but nothing. I suppose what I am obsessed with are the ideas, art, writing and thought that can come from ‘nothing’. Whatever nothing is exactly. Semantics aside this post inspired by recent events of seeing the new Twin Peaks and having started reading ‘M Train’ by Patti Smith, who starts this episode of her diary-like biography in stating, “It’s not so easy writing about nothing” as she muses lost in thought in a cafe in New York. The whole book that follows continues from this point of nothing into a series of reminiscing tales and future visits to the same cafe where she writes about writing, television and books. Doing ‘nothing’ becomes a time, a headspace for daydreaming, deep thought or simply noticing things around you and from the recent trend in ‘mindfulness’ literature it seems that there is a need and fashion for creating space/time for doing so more than ever before. In Georges Perec’s ‘An Attempt at Exhausting a Place in Paris’ the writer sets out on a quest to write down everything that happens, “when nothing happens”. Sitting in a cafe in Saint Sulpice for three days the book reads as a series of lists, or stage directions and descriptions of the people, the buses, the pigeons that walk past and in his words, “...generally take note of, that which is not noticed, that which has no importance...” The resulting book at times ends up being quite abstract; shapes, colours and numbers; yet visually speaking, the narrative this information conjures still manages to create a story and sense of place that feels very real albeit still very subjective. 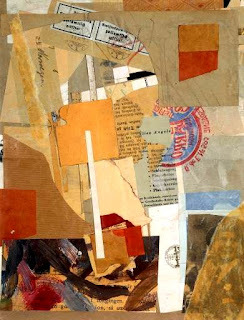 This same fragmented and subjective sense of time and place is present in the found debris and collected collages in Kurt Schwitters [1887-1948] or in Sophie Calle’s [1953 -] use of photography and narrative of everyday objects to tell stories from her life. 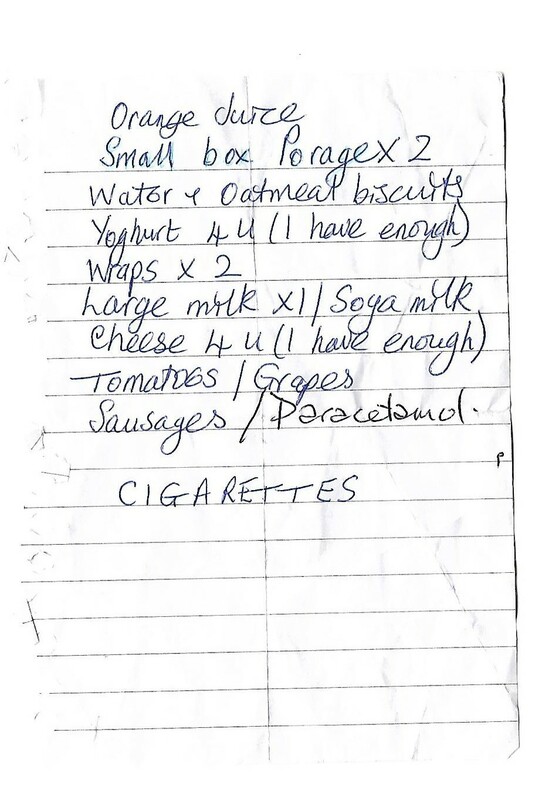 To the nature of this post itself as a list of sorts as a reference to a personal favourite of mine, found shopping lists that read like poems (opposite). 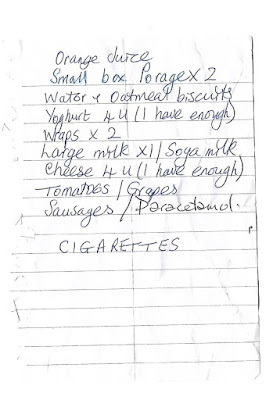 I could write a whole separate post about the charm and intrigue of the found shopping list and what stories they tell. 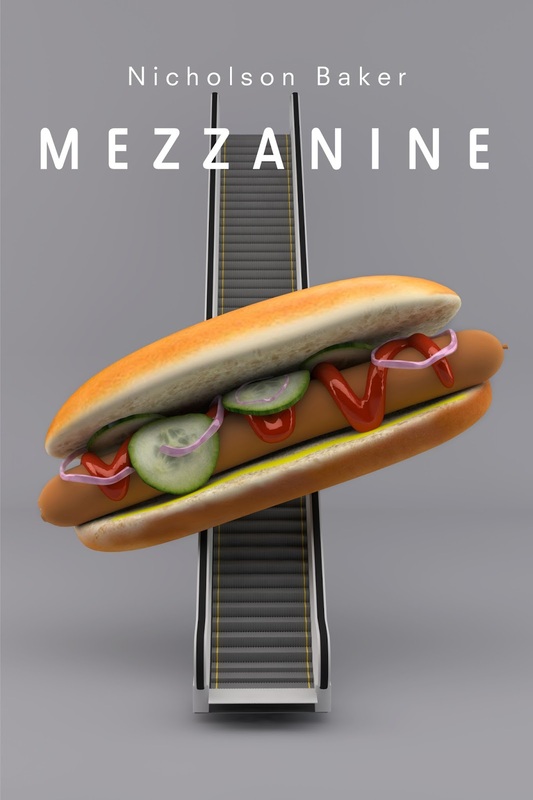 Imagine therefore my excitement when on this journey into nothing I discovered, ‘The Mezzanine’ by Nicholson Baker a short novel written in 1986 that chronicles the musings of an office employee as they escape their workplace to ponder why one shoelace always runs out before the other and whose genius lies behind the folding spout on the milk carton? It is as absurdly mundane but genuinely pedantically amusing as it sounds. 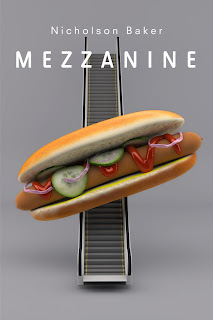 Like a literary version of observational comedy when I read ‘The Mezzanine’ for the first time it struck me, in the way that comedy also can, how uniting these thoughts are. We all think, we all notice the same odd, irritating, impractical or genius bits of design, everyday interactions with people in our daily lives; yet how often do we think that those thoughts and observations can be quite amusing or even interesting. If you read this, firstly you will wonder how it is possible that you have spent the best part of five minutes reading two pages about a stapler; secondly you will either find this incredibly sad or as I did amazingly perceptive. Once again, I reiterate, “it is not easy writing about nothing”. Time and nothing seem to be two things that sit hand in hand, that to experience, understand and possibly appreciate nothing we need the time to do so. I have often enjoyed the challenge, though not always succeeded at comfortably watching these scenes in films that seem to take forever or have little baring to the immediate progression of the story, though debatably they are the closest thing to life and are the parts in films that allow you to think or not. It is the incidental conversations about hamburgers, a goldfish or Spider-man in Tarantino’s films. It is long first-person shots travelling in a car on a highway at night so often used by David Lynch or described in Michel Faber’s brilliant novel, ‘Under the Skin’. It is all the stuff that happens when nothing is happening. 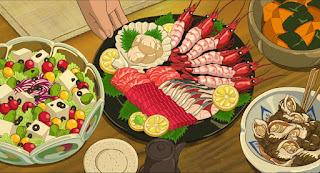 A lot of Japanese animation does this very well for example the depiction of cooking and food in any one of Studio Ghibli’s animations along with the most highly detailed, hand painted shots of an empty train station or school desk in animations such as ‘5mm per Second’ are notable in their change of pace as well as being more often than not completely unnecessary to anything to do with the plot but show us so much about what Japanese life is like in the same way a painting would. It is the intensity and love of looking in a Chardin still-life, the personal desire to possess of a Jim Dine tool print or drawing. The absurdity of a soft toilet made by Claes Oldenburg that makes us consider the real thing, the Duchamp snow shovel, the readymade and consumerist, glossy, pop-culture noticed in a Warhol or James Rosenquist. It is the things that make us stop and notice. The magic illusionary and seductive powers of surface, form and narrative created in art that make audiences want to look closer. A thousand words later and I am still writing about nothing. I may be interested in it for some time to come.